The situation in eastern Ukraine remains difficult, but at least cities are not being destroyed and civilians are not being killed, Russia's President Vladimir Putin said after meeting Italian Prime Minister Matteo Renzi. Putin called on both sides of the Ukrainian conflict to“strictly comply” with the Minsk peace deal they signed on February 12. “I am sure that this is an opportunity for a comprehensive peace settlement and direct dialogue between Kiev, Donetsk and Lugansk," he said. Renzi, in his turn, said that Italy is interested in an early settlement of the Ukrainian conflict, where government forces have been fighting against militias in the southeast of the country for a year. The Italian PM stressed his country is ready to share its vast experience in decentralization of power with the Ukrainian side. “I think it is important to stress that a decisive step towards a peaceful solution of the Ukrainian problem was made on February 12 in Minsk,” the Italian PM stressed. He also noted that restrictive measures imposed against Russia and countermeasures employed by Moscow are causing problems for all countries involved in the sanctions war. 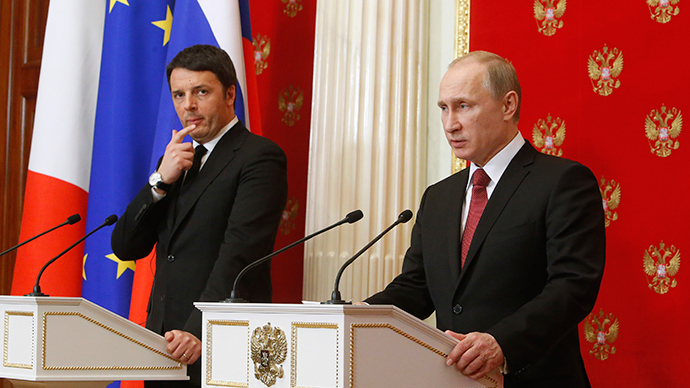 Renzi arrived in Moscow as part of a two-day Eastern European tour. He visited the Ukrainian capital Kiev on Wednesday. During his talks with Ukrainian President Petro Poroshenko, he stressed that Rome is fully committed to preserving Ukraine's sovereignty and territorial integrity. "We have a complete commitment and interest in seeing peace return to this part of Europe," the Italian PM is cited as saying by Reuters. After Thursday meeting, Putin said that in the current situation the importance of the role of “all responsible members of the international community, especially those, with a significant influence on the Ukrainian authorities” in peaceful settlement of the conflict has significantly increased. "In this regard, we are counting on our Italian partners in both their national status and as one of the key countries of the European Union," he said. 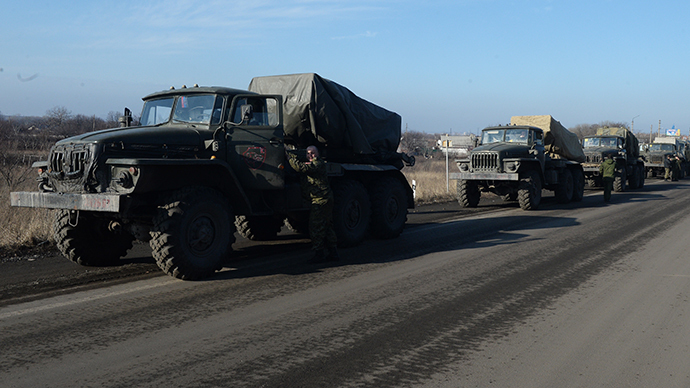 The Ukrainian conflict began in April 2014, after Kiev sent its military to the southeastern regions that had refused to recognize the new coup-imposed authorities in the capital. The fighting has seen over 6,000 killed and nearly 15,000 injured, the UN Human Rights Office said on Monday.